Music plays an important part in the ministry of Christ Lutheran Church. of the church enlighten our weekly services along with other events hosted by CLC. Do You Have A Musical Flare ? If so contact one of our choir directors, or just "Show Up" at a rehearsal ------------- "All Are Welcome"
The Choir performs regularly during worship along with presenting special music throughout the year. Meets (Labor Day Thru Memorial Day) at 9:00am in the Fellowship Hall. 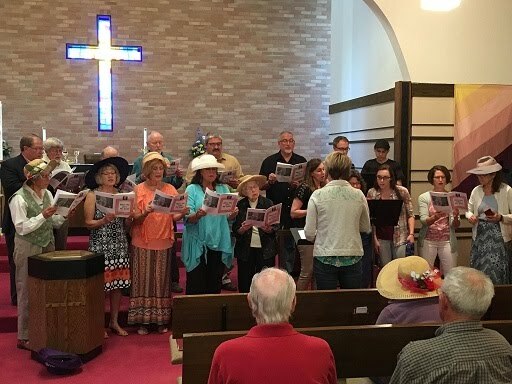 Our Sunday School students frequently grace our sanctuary with song under the direction of Jen Snow, Melissa Wagner, Missy Mack & Chris Herbrand. 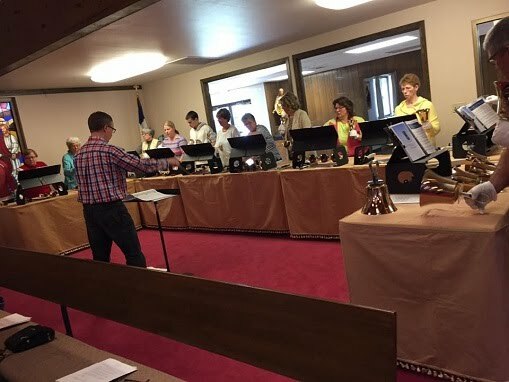 The Bell Choir performs regularly during worship along with presenting special music throughout the year. Meets (Labor Day Thru Memorial Day) at 7:00pm Monday evenings in the Sanctuary. CLC is graced with many beautiful voices which fill us with song during the summer months as well as other times during the Sunday services.